If even your imaginary friend thinks you have mental problems, Hong Kong’s first BIPOLAR SUPPORT GROUP could be for you! We are a motley crew of Hong Kong-based professionals, artists and students who have each, at some recent or long ago stage in our lives, been diagnosed with bipolar disorder. Our support groups are peer-led by us. By sharing our stories and being afforded an opportunity to vent to those who have a far better chance of being able to understand us than our non-bipolar friends and family, we have each found the benefits of meeting regularly. We alternate meetings between Starbucks in Sai Kung and Starbucks on Duddell Street in the heart of Central. We do not meet on public holidays. Meetings are free to attend and always take place on the last Monday of every month. They last for approx. 2 hours (though often finish later) from 7pm – 9pm. To join the group, email bipolarinhk@gmail.com. Please provide your phone number and say if you’d like us to add you to our WhatsApp group! 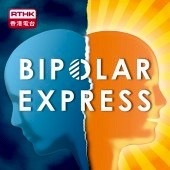 Join Bipolar HK’s Peer-Led Bipolar Support Group – Hong Kong’s first & only! We also offer 121 peer mentoring. Email bipolarinhk@gmail.com for details! PLEASE NOTE: The next support group meeting will be held on Feb 25th, 2019 at 7pm-9pm @ Starbucks Sai Kung. Please let us know if you can attend before 2pm on the day of the meeting. Thanks! This is NOT what goes down at monthly Bipolar HK Support Group meetings! Would like to join the support group in Central.